How can we (Christian believers) recover our lost sense of migration? Or do many of us not realize we are migrating at all? Indeed, the Bible has been called a handbook on migration, and you really sense that reality when reading books like Exodus, Acts, Hebrews, and many more. Do you know you’re emigrating? As the Exodus-people, the Scriptures point us to and call us to the city of God — the future reality with present ramifications. Personally, I’m a stranger to the land where I live, but no stranger to migration. For over 22 years now, I’ve been a migrant into different cultures. Because of the daily detachment from being in a sense of “home”, I do think it has helped me to seek a greater home. It has also helped me with a sense of empathy for others who share similar migratory paths and experiences in life. A while back, I came to the realization I may never again have a sense of “rootedness” on this Earth. That lost sense of “home” begs the question and antagonizes the heart, “Am I ok with perpetual migration?” At first, I struggled like many with the thought, but now, I welcome it. Almost every refugee we encounter is in search of a better home. The reactionary response to them is generally, “Well, don’t make my home your better home!” However, if we simply take their human ache on its merits, are they not teaching us something about our own temporary lives? It’s as if they are holding up a mirror of life to us, but we often don’t like what we see. Do we disdain their pursuit of a better home because it actually reminds us of our own, oft-forgotten pursuit of the better home? Could it be that our hearts are daily following our treasure (as Jesus said it would), but our treasure which is meant for Heaven is buried way too deeply here on Earth? All of a sudden, we meet many people who have very little earthly treasure and it makes us very uncomfortable. And now we’ve arrived at the rub of the argument. Do you know that you are migrating, too? If the Gospel is our new life, then it is the Gospel which dispossesses Earth from our hearts. Yet, it is the very same Gospel which repossesses our hearts with the new, glorious home of the Father we know as Heaven. In other words, we reveal not only where we are migrating to but also WHO we are migrating to. what lifestyle are you aiming for? can you easily tell how the Kingdom has had an impact on your financial decisions? do small changes in your plans or dreams upset and irritate you? what have you “left behind” to enjoy Christ or to help others enjoy Christ? do you look at countries and cities only as tourist destinations ? do you often think or talk about Heaven? do you have a God-centered view of retirement? Jesus said in John 14, “I go to prepare a place for you, that where I am, you may be also…” What a sweet promise to a migrating heart! Abraham (and other men and women of true faith) sought that place. Life in God’s Son means we are anchored to that place; the very presence of God. Life in God’s Spirit means we are tethered to our anchor, and with each passing day we are pulled closer to that future reality. Jesus is our promised land whose border crossing is wide-open and welcoming. Home is where the Father, the Son, and the Spirit dwell in boundless love. I don’t know what you want to do, but I’m going home! In the meantime, however, I need to learn how to live as a migrant. For the joy set before him, Jesus despised the shame of this world and is now seated securely on the throne in Heaven (Hebrews 12:2). Jesus was the King-walking, who bore the humiliation of any migrant who would follow him. Did you catch where Jesus was migrating to? He was migrating — to joy. Or, as the prodigal son’s father called it — a great celebration where both the father and the son were (Luke 15). Therefore, if that joy is my motivation too, renewing my status as a heaven-bound migrant is not so frightening. I am becoming more and more like the Ultimate Migrant as faith works itself out in my life. Continually, I become as the Refugee of Heaven to reach refugees of this Earth while the Gospel transforms my baseline motivations in life. Walking in the Gospel toward joy will not take long for people to tell you’re a migrant, too. Look how migrants behave. Migrants walk today in light of their future. Migrants agonize in hope. Trafficked humans in the slavery of sin champion their liberator. Refugees seek and celebrate true refuge. You never hear long-time travelers say, “Eat, drink, and be merry for tomorrow, we die.” No, they care deeply about tomorrow, about the journey and the destination, or they never would have travelled in the first place. There is a marked difference between a refugee and a rancher. Likewise, a Christian cares deeply about their city today, but not by forsaking the celestial city of tomorrow. Please click here to read part 4 (Don’t Romanticize the Work) of this series. Continuing from part 1, we shared that entertainment or recreational-propelled worship is the wrong kind of attraction to the church community than what the Scriptures call for. It’s not a missional-oriented approach because it is man-centric. While deliciously tempting to fall into, an attitude of let’s change this to attract more people can actually become an affront to God, all while using his name. So, how do we maintain our missional edge and a holy attractiveness at the same time? It’s radical devotion to the rules of the gospel and living our new identity in Christ that makes us so beautiful. We need to be serious about our active piety. It is our devotion which points to the real, radical center of Jesus. How can you tell when a church is flowing in this attractive sense of devotion? Tim Keller recently shared that one sign occurs when new guests come to your church gatherings. They will notice a number of familiar forms about church (things they expect to see) but they will also see a people (young and old) who practice them with a serious, new life. Prayer has power and passion, forgiveness works, and the community is filled with hope of the kind that welcomes the good reign of God and its final coming. Jonathan Edwards called the church, The Glorious Society of God. Edwards’ emphasis was that God wills himself (his perfections and wonders) to be known through the power of a redeemed people on display. The church, therefore, becomes a reflection of Heaven; what Edwards also called The City of Love. Therefore, we can’t “make our church attractive” or the story and glory would be all about us. 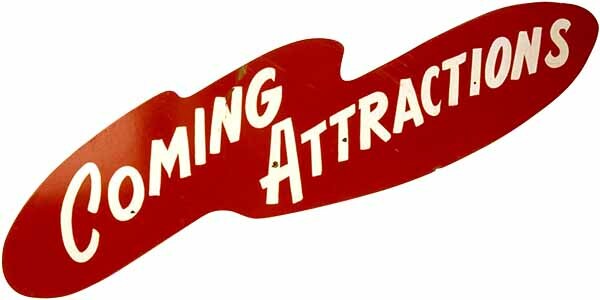 Attractiveness, therefore, is a by-product of the shared, communal pursuit of Jesus and the practice of active love. We could describe it as a people who are actively falling in love with Jesus, but that phrase is so vague and dried-out by modern meanings. Instead, our concentration is serving the Lord by serving others and attractiveness will happen often without us even recognizing it — and definitely not by forcing or generating it. Because the church is the alternative city, it should and it will portray the image of the City of Love. In Heaven, you never have to try to fit-in. A person will never experience the want of being accepted. In Heaven, right now and forever, love emanates outward. Waves of love greet the child coming Home. From the enthroned epicenter, through the Apostles, outward from the great saints, coursing over the multitude of the elect, raced along by praising angels, cascading down into the thousands on Earth gathered in God’s family, received by us in the church, and spread around the world to the last, the least, and the lost, this is how we experience the path and power of God’s love. We as God’s children are surrounded by a great cloud of saints, all compelling the farthest to come into the banquet, and never to be separated from the love of God by anything. 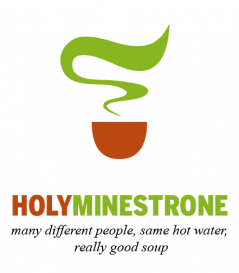 Holy Minestrone! Now that’s attractive! So, I would say that we shouldn’t throw out the word ‘attractional‘ but we should be careful what we apply it to.